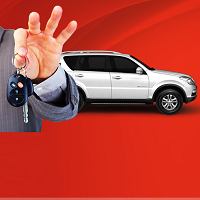 India Best Car Rental Services from Delhi - Check Now! To book car rental services for Taj Mahal tour, contact us. Operational with the sole aim of providing a comfortable tour to the tourists, Travel Force India offers one of the most reliable and trusted Car & Coach Rental Services. We also offer efficient and prompt car on call services for all over India. We have a range of luxury cars, coaches and buses that we lend for tour & travels. We specialize in making available premium car, cab and bus rental services for Taj Mahal Tour, Delhi Tour, and Rajasthan Travels. Adding to our excellence is the brand new Toyota Camry. With is glorious looks and thrilling performance, enhance your travel experience, style and comfort. Get in touch with us to avail our range of well maintained cars, today! We are the known provider of car coach cab rental services in town.